The Lindeman’s Cleaning Connection™ offers convenience and time savings. 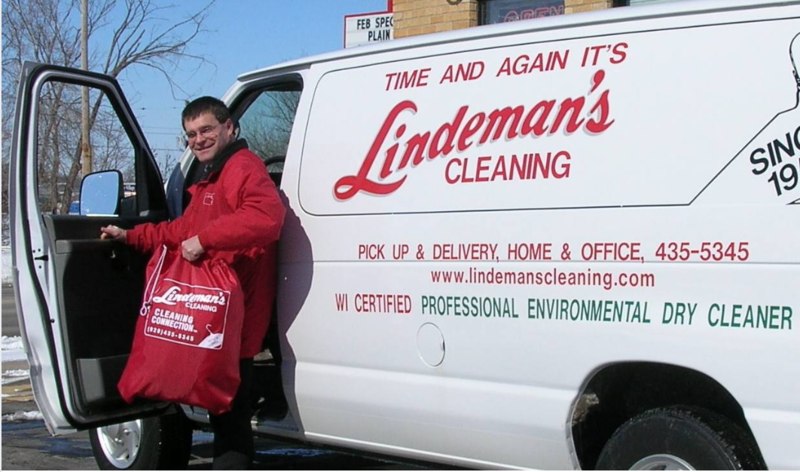 As a member of Lindeman’s Cleaning Connection you’ll receive their recognizable red bag. Just fill the bag, and Lindeman’s will pick it up at your home or office, and deliver your laundered and dry cleaned clothing and household items back in a matter of days! *Alterations and repairs are not discounted. If you’re interested in this time-saving program, or if you have any questions, please call Jessie at 920-435-5345. During December, Lindeman’s is offering 15% Off on the Cleaning of Plain Dresses, Pants, Purses, and Luggage! Remember, for your convenience, Lindeman’s has 9 Area Locations! Please Let Lindeman’s know that the Green Bay News Network Sent You!